Our patients receive unique blend of caring, comfort and the most advanced cosmetic dental procedures available today. At Bensonhurst Dental, we utilize cutting-edge technology in conjunction with scientific and clinical research to deliver the most accurate diagnosis for our clients. As part of your visit we check all your restorations such as crowns, fillings, bridges, veneers, etc. for decay or old age. X-rays may be recommended to see inside and between teeth. We provide top quality multidisciplinary care quickly and conveniently all in the comfort of one location. All our treatment rooms are furnished with state of the art equipment and maintained at the highest standards. 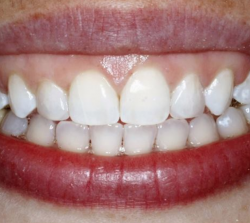 All our smiles are custom made by our in-house master ceramist and team of dental technicians. Patients enjoy the luxury of personal concierge services throughout their dental treatment. One of the more complex aesthetic cases we had the honor of completing. 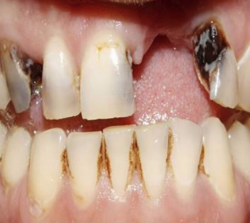 Very much like many patients who have had negative and sometimes traumatizing dental experiences at a young age, they tend to stray away from oral hygiene, leading to cases similar to this one. We were able to save his smile by rebuilding new teeth and gums out of porcelain. This patient came in really self-conscious about her smile. 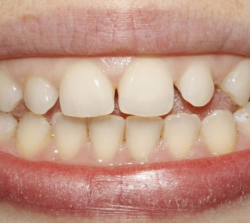 Like many adults she could not afford having orthodontic treatment as a child, this led to her being really unhappy with the shape, color, and spacing of her teeth. We were very conservative when creating this smile. By giving her Six Months Smiles - Orthodontic treatments, Zoom! 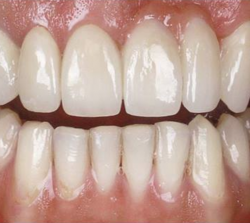 whitening treatment, and composite bonding the patient obtained the beautiful smile she desired with no loss of tooth structure. Beautiful smiles have always captivated me. Smiles are one of the first things that I notice with people, so having a great smile was very important… I am so pleased that I have entrusted my family’s dental care to Bensonhurst Dental. I am so grateful to finally find a dentists and a staff who are so dedicated to providing great service. I had 7 implants done in this office during 3 years. Excellent job! Thank you!!! The entire staff at Bensonhurst Dental Care is extremely professional, friendly, and knowledgeable. They have the most state of the art technology in their offices, and I always leave feeling extremely satisfied. Highly recommend! My experience with Bensonhurst Dental Care has been more than exceptional from start to finish. I’ve never met a staff that is so courteous and friendly in any establishment… I strongly recommend Bensonhurst Dental Care to anyone looking for a excellent dental experience. 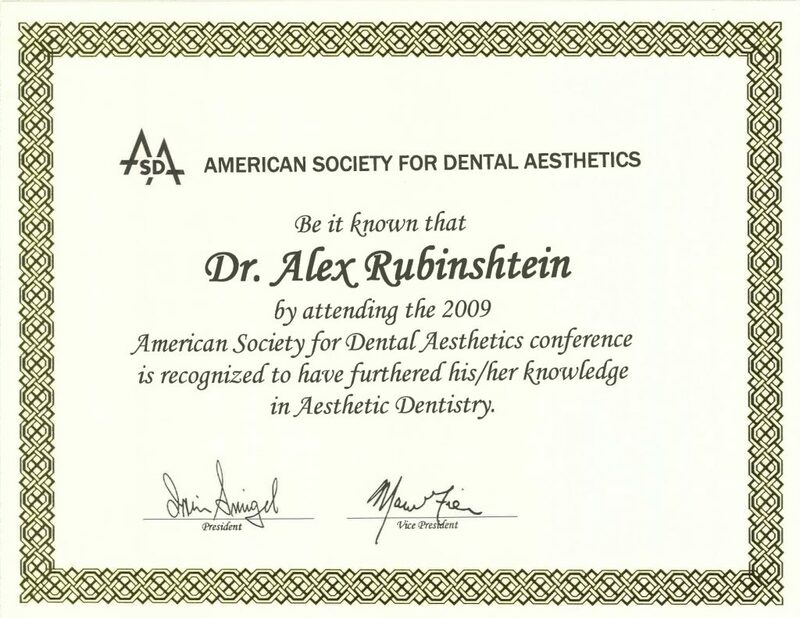 Dr. Alexander Rubinshtein has been practicing dentistry for over 25 years and has a thriving patient following. He received his DDS from NYU school of Dentistry and was a member of the honorary society. 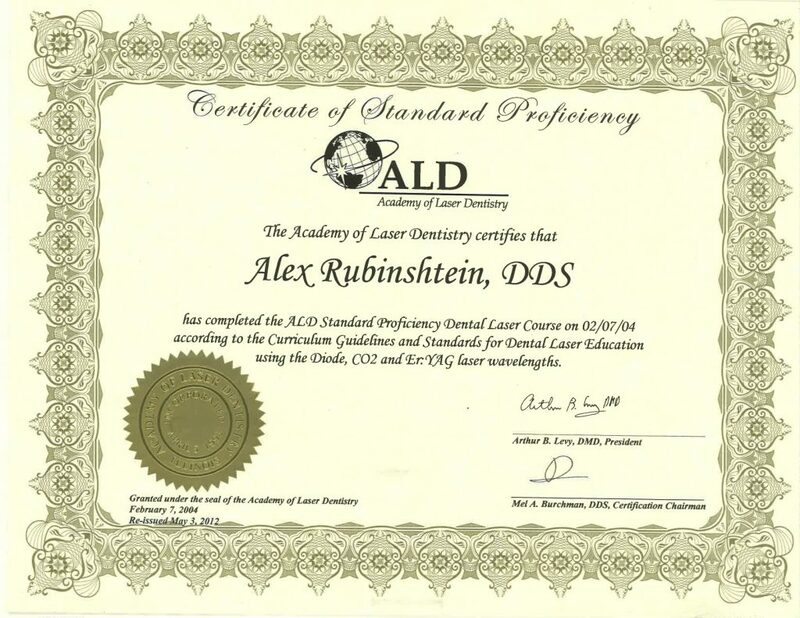 Dr Rubinshtein is board member of ALD | Academy of Laser Dentistry & ADA. 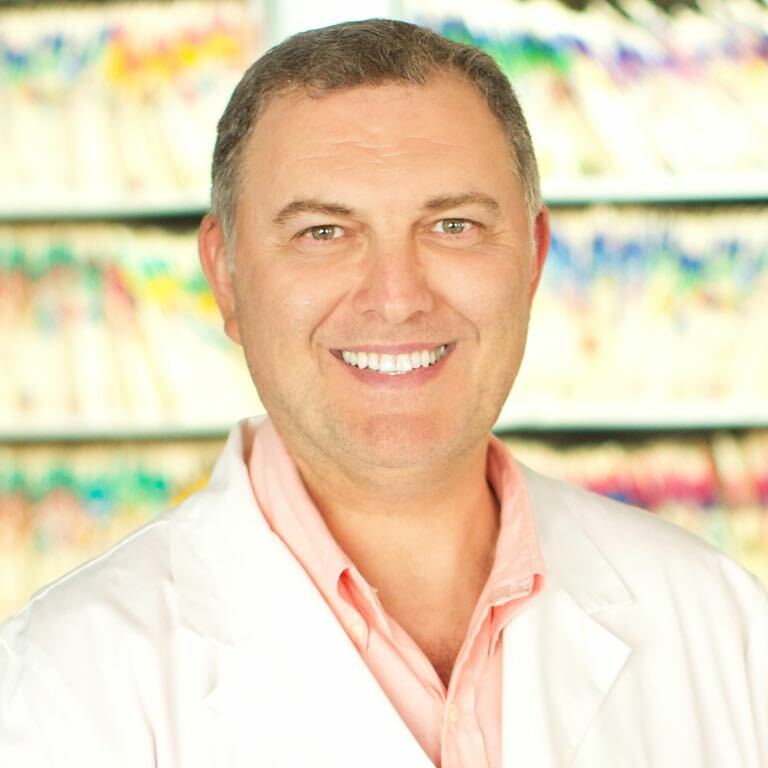 Dr. Alex deploys the latest advances in dentistry and business practice enabling him to treat his patients and provide them with exceptional services. 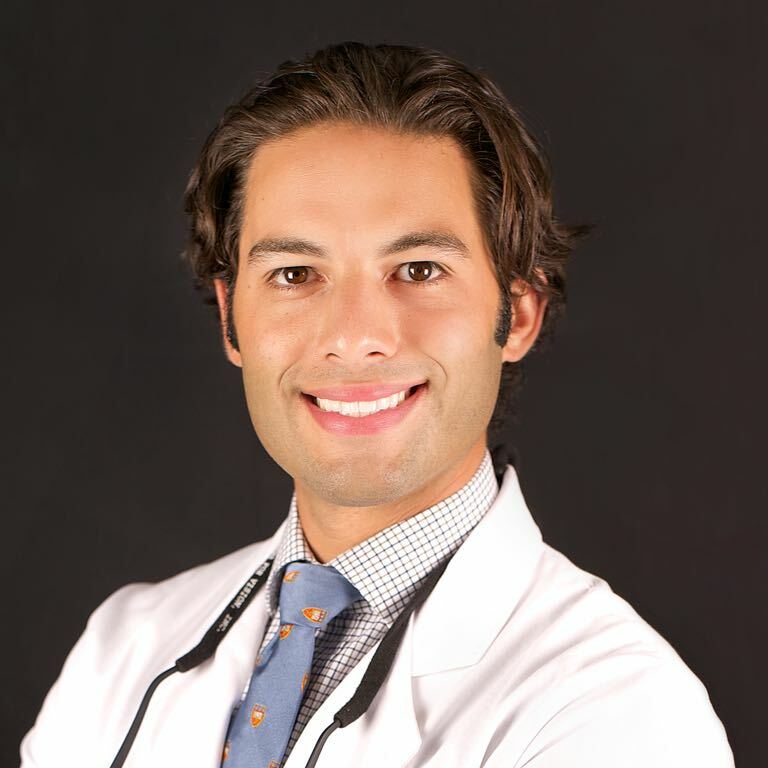 His main focus is on oral surgery, implant restoration and laser assisted dentistry. Dr. Rubinshtein is one of the 1.8% of dentist in America offering the latest Laser Dentistry. Laser technology provides unmatched benefits for our patients who seek no drilling, no incisions & no numbness in most dental procedures. Dr.Rubinshtein works with every type of a patient, if you are nervous about visiting the dentist for any reason, he is able to make your experience as painless & pleasant as possible. Please view our testimonials. Dr. Marina Rubinshtein “The Doctor with magical hands” – This is how patients refer to Dr. Rubinshtein. 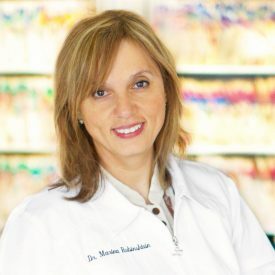 She is an experienced and talented dentist, having spent over 24 years in a private practice; specializing in general, cosmetic and restorative dentistry. 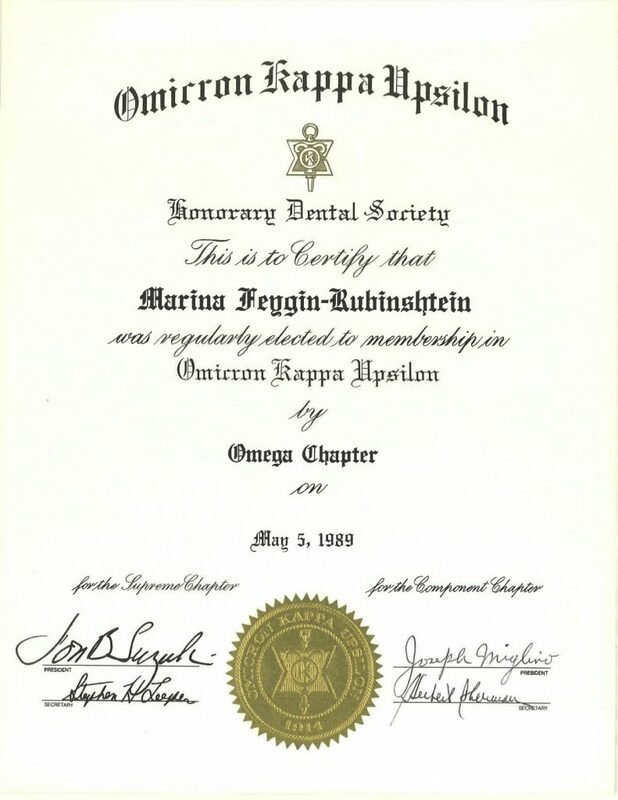 She received her DDS from NYU school of Dentistry and was a member of the honorary society. 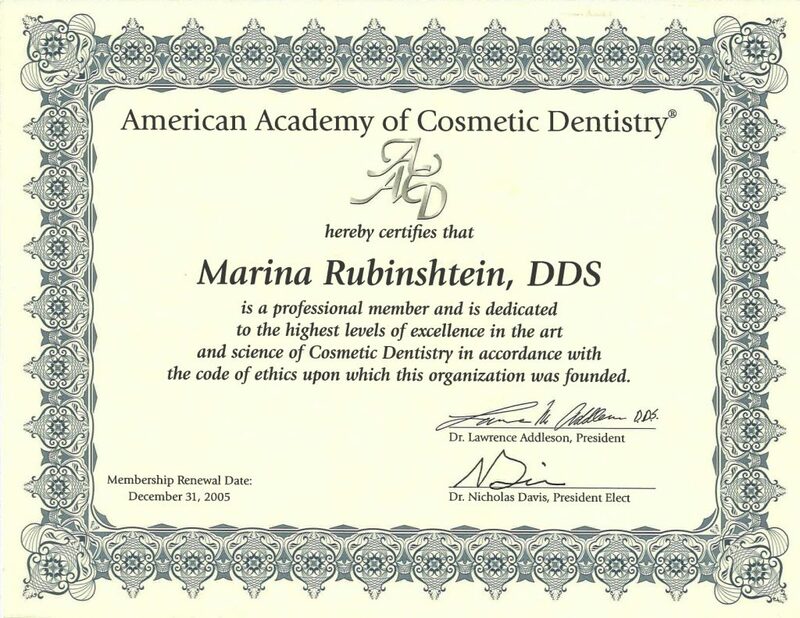 Dr. Marina is also a member of the Academy of General Dentistry and the Academy of Cosmetic dentistry. She is a member of American Academy of Cosmetic Dentistry & AGD. Dr. Daniel Rubinshtein has graduated from the prestigious Yale University, where he did his general practice residency. 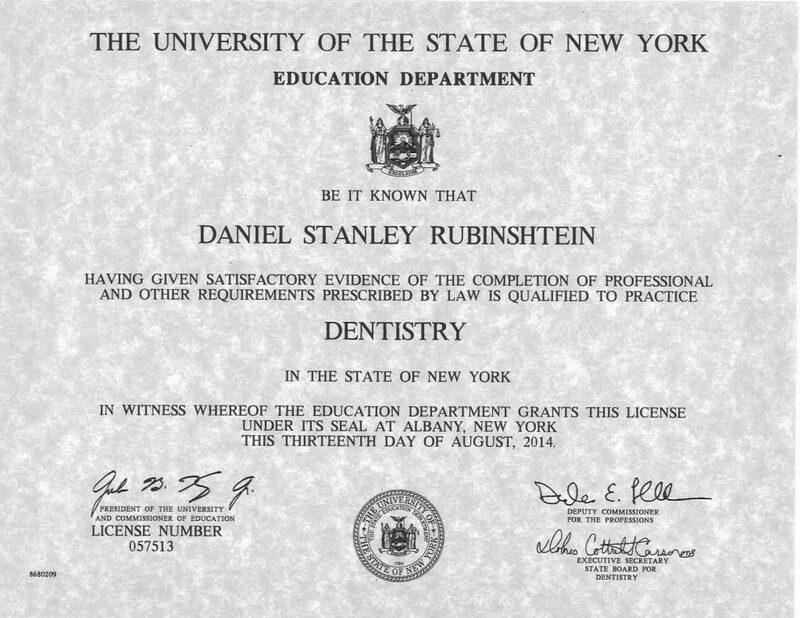 Dr. Rubinshtein also is a graduate of New York University College of Dentistry where he received his doctor of dental surgery degree. At NYUCD Dr. Rubinshtein was a member of the Aesthetic Honors program where he displayed his artistic and keen eye for beauty. He won the Empire State Academy of Aesthetic Dentistry first place for his smile makeover and placed among the top at the national American Academy of Cosmetic Dentistry Conference. Dr. Rubinshtein’s desire to help others who are less fortunate has been apparent in his involvement with many charities from oral cancer to feeding the homeless. He also went on several dental outreaches that served under privileged communities throughout the country. Dr. Daniel Rubinshtein is excited to be back in Bensonhurst where he grew up, and help people in his community.